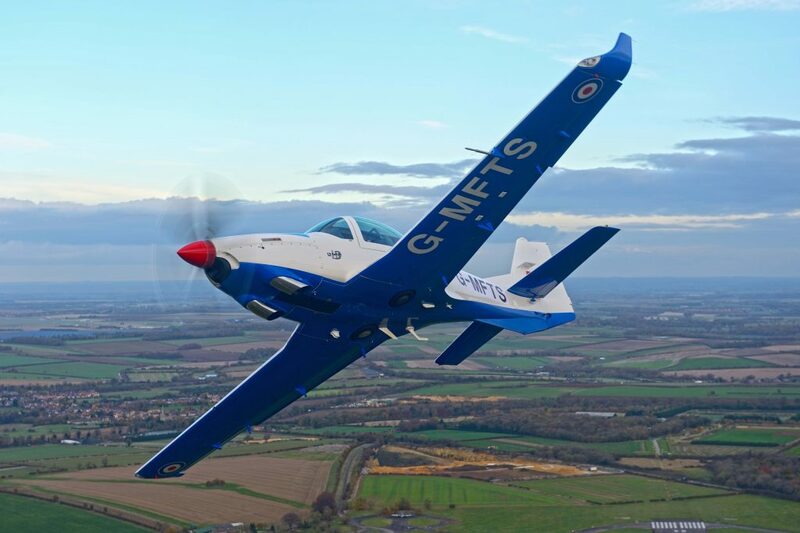 Affinity Flying Training Services has announced that the Grob 120TP, ‘Prefect’, has achieved Military Release to Service and is a step closer to commencing its role as the next Elementary Flying Training aircraft for the UK Ministry of Defence. The Prefect is the first of a suite of new training aircraft due to enter service from 2017, which will support the Fixed Wing element of the UK Military Flying Training System programme. Specifically designed for training ab-initio students, the Prefect boasts a G-range of +6/-4, and a top speed of 235kts. Equipped with a fully digital cockpit, it is EASA certfied for day, night and full IMC operations. “This is a significant milestone following financial close in 2016 and marks the start of the service provision by Affinity to the UK Military Flying Training System programme. We are very excited to be supporting Ascent and the MOD in the training of our military aircrew. The Prefect, which will be based at RAF Cranwell, is one of a total of 18 aircraft that will be delivered under the programme this year. Affinity was selected by Ascent Flight Training to provide and maintain the Fixed Wing aircraft selected for the UKMFTS programme. The UKMFTS takes United Kingdom Armed Forces aircrew from initial training through Elementary, Basic and Advanced flying training phases preparing them for their arrival at their designated Operational Conversion Units. Good news, all the RAF training aircraft are in the process of being replaced by newer more advanced aircraft. Well done MOD. I’ve seen them flying in and out of Doncaster airport a couple of times a day for the past few weeks. Was one today doing a low approach.